The EnVision team presented at the last VEXAG meeting. 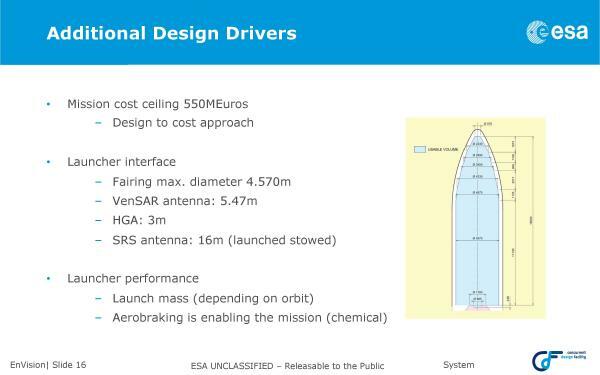 The mission concept then was overweight and over budget. 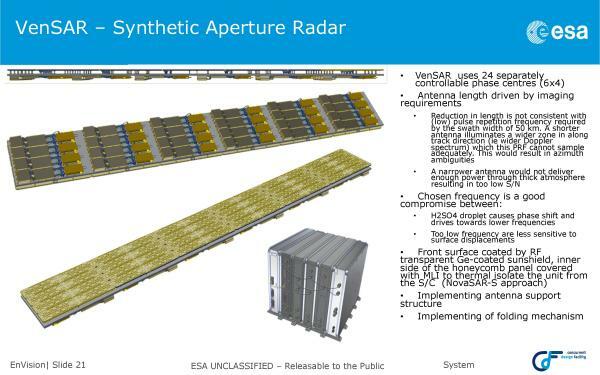 As one solution to the latter, NASA agreed to study supplying the radar unit. 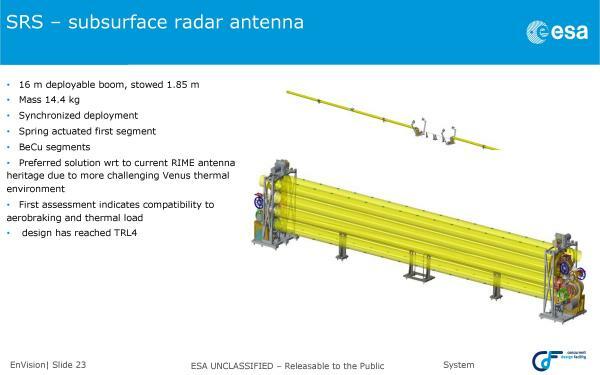 Proposers of Venus mapping missions to NASA did not react well as I recall. 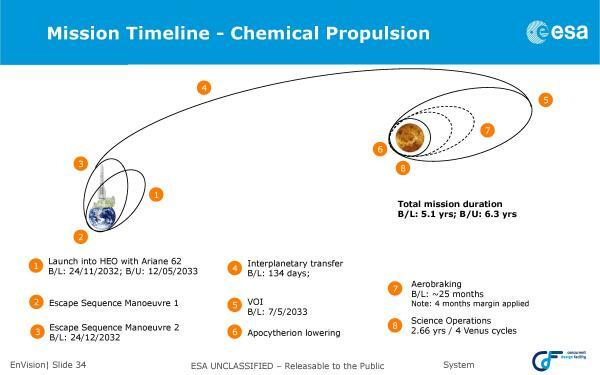 If the mission launches, it would be in the early 2030s. 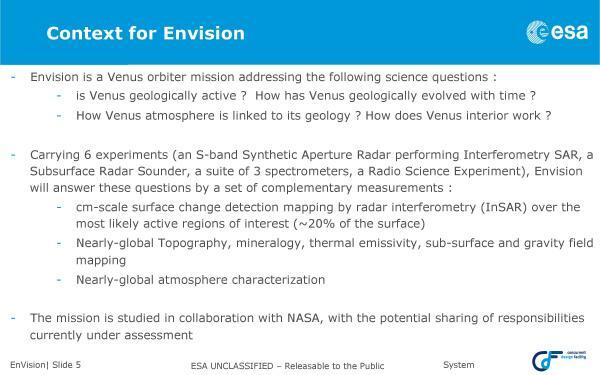 I've followed EnVision for several years and it could have some nice capabilities like higher resolution imaging and a more capable spectrometer than I've seen proposed to NASA. Hope it can happen. 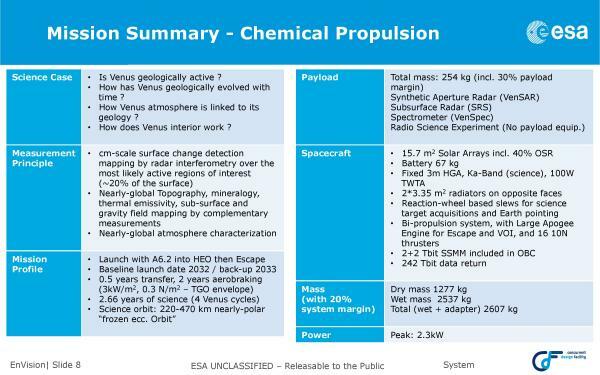 Venus needs love. All though an orbiter is sensible for now I wonder when we could see something like a balloon if not a lander taking a closer look? 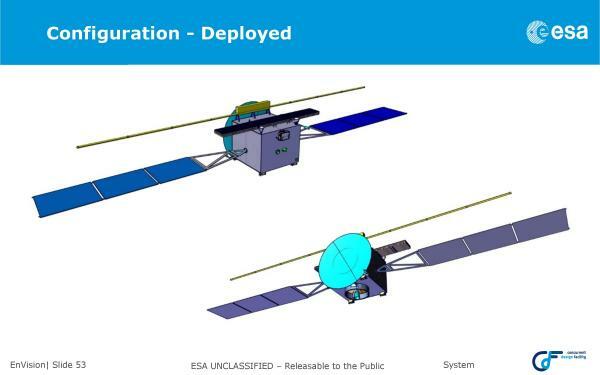 Another thing about the EnVision mission is that they plan to map, although at higher resolution than the proposals to NASA that would have mapped the entire plan, on a portion of the planet covering high importance targets. A tradeoff on depth vs breadth. 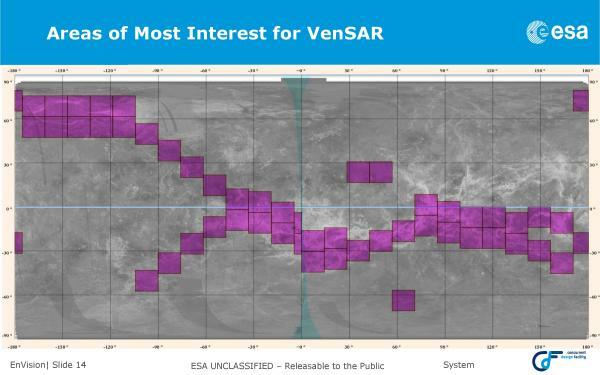 And a lot of Venus are pretty similar plains. 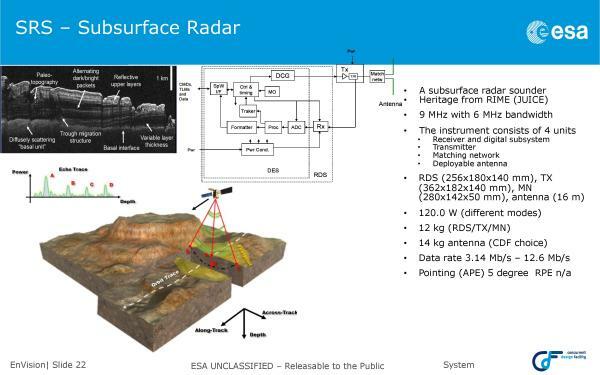 I don't know if a NASA-supplied radar would allow the higher resolution mapping. 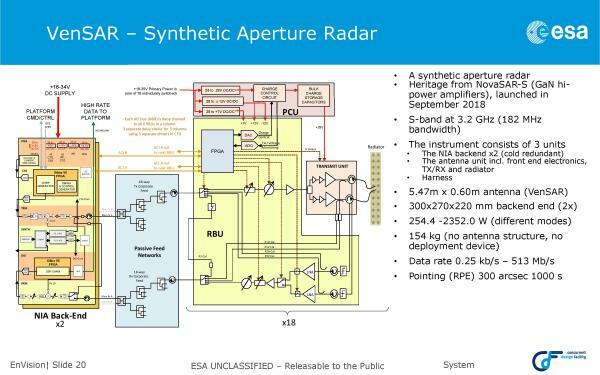 Disappointing in some ways to see yet another orbiter proposed. 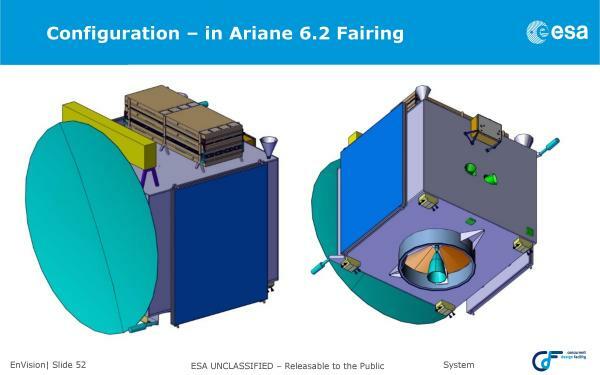 We see articles every now and again saying that the technology to develop a more long lasting and capable lander are in development, but this never seems to be reflected in mission proposals for the planet. Even some kind of device into the atmosphere or flying through like NG’s VAMP proposal would be a step up. 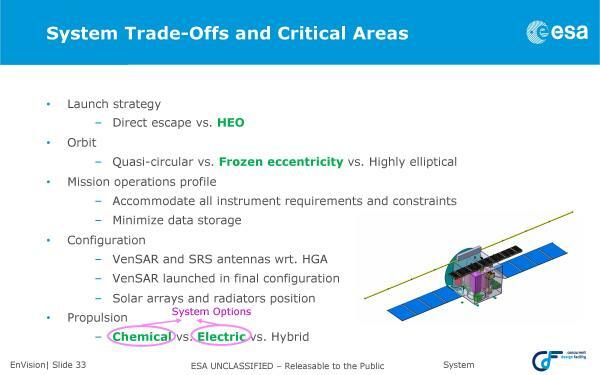 Not just another orbiter, another orbiter that, if there are no slips along the way, will start science operations in 2035. 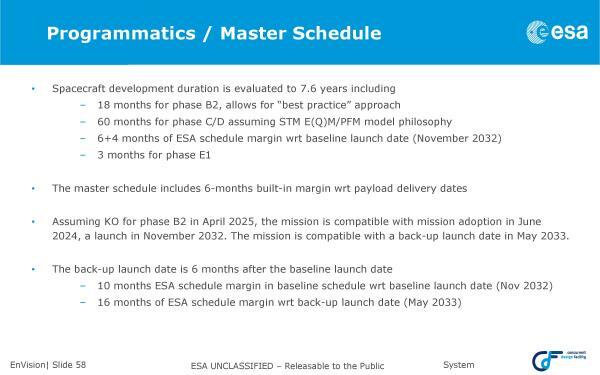 Throwing cold water over this: historically only 1 out of every 20 mission proposals, presented to ESA, result in actual missions. 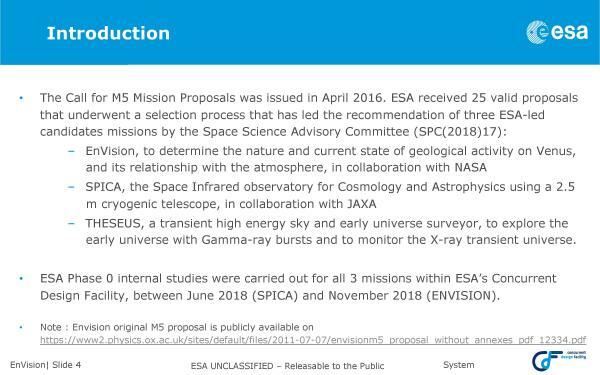 It will be some time untill it is clear whether this proposal has any chance of actually getting beyond the Powerpoint phase. 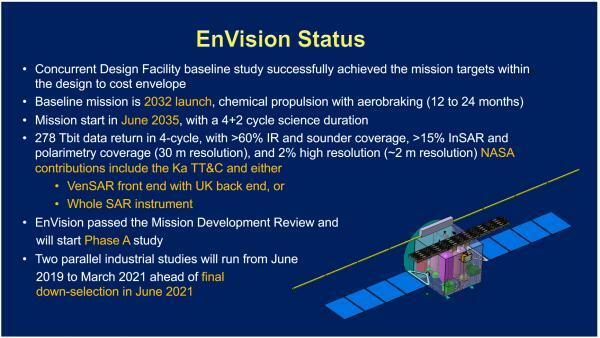 Throwing cold water over this: historically over 95% of mission studies done by ESA do NOT result in actual missions. Well, it was one of the three down-selected proposals for M5. So it has that going for it, which is nice. Its date of operation doesn’t stop it being another orbiter. 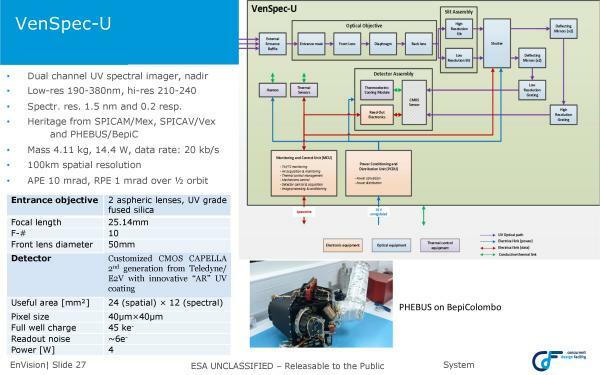 There are limits to what you can do with ESA medium class mission budget. Is a dedicated lander that much more expensive? Depends on the orbiter and the lander. 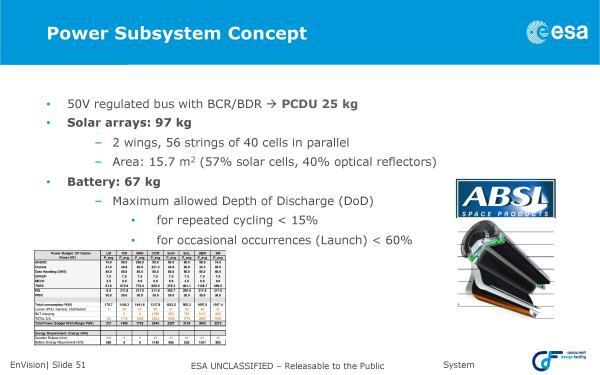 If your only goal is to get a cubesat equivalent payload into orbit or on the surface to survive a few minutes, you probably can do so for <$200M. The orbiter will be cheaper -- proven technology and all that. 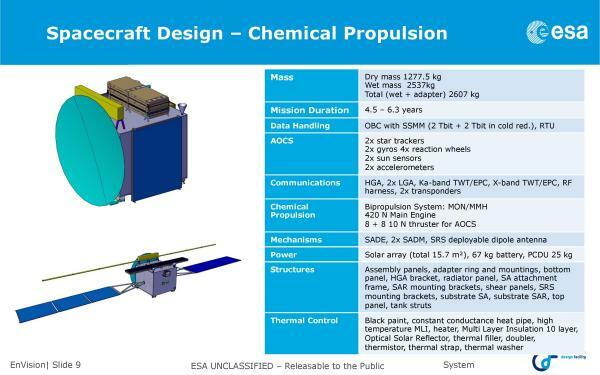 The lander needs at least a pressure shell or exotic high temp electronics. You can grow costs on both arbitrarily from there. 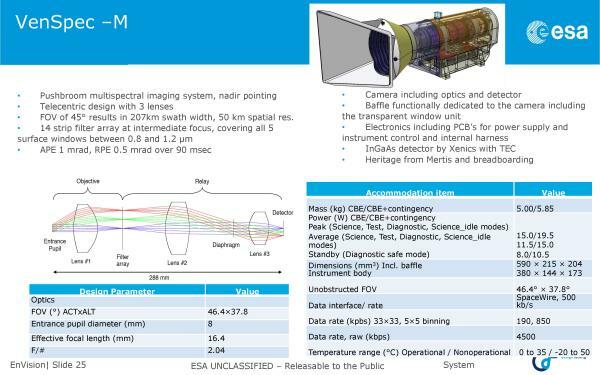 This slide on the current status of EnVision was presented as part of the VEXAG update at the recently completed LPSC conference. 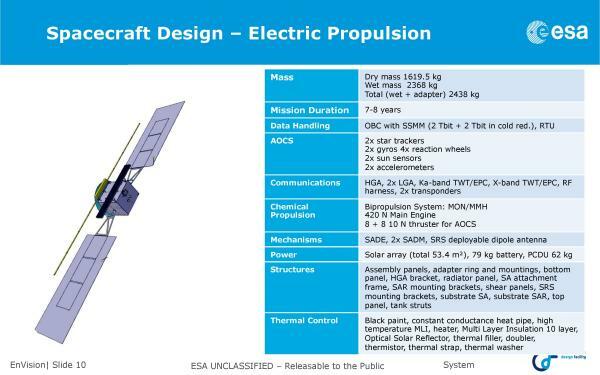 That sounds like this is starting to move toward an actual launch. 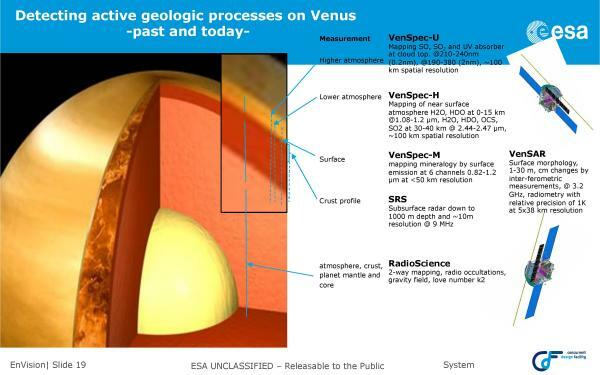 People make a big fuss about Mars but Venus is much more dynamic in terms of atmosphere and geology. 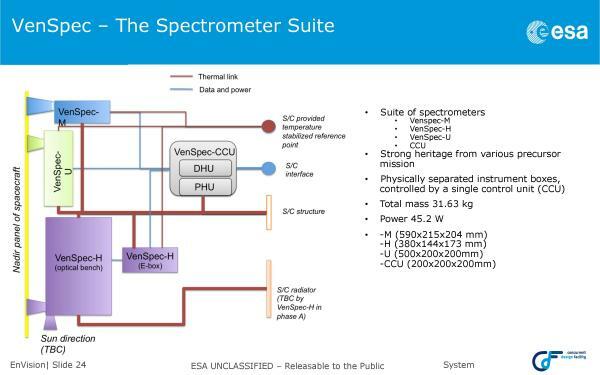 Since this is an ESA mission it can teach us a lot more about the ffects and mitigation of global warming than Mars ever will. 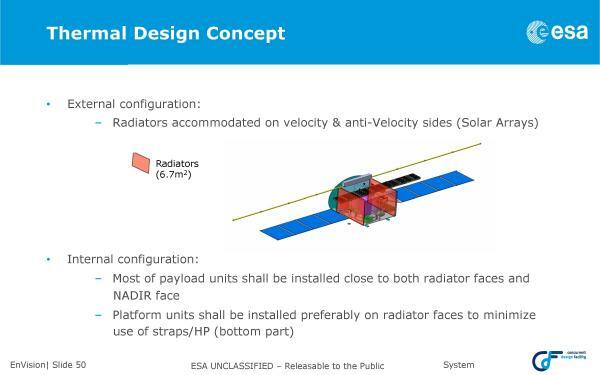 I listened to a presentation on the proposal from last fall's VEXAG meeting. 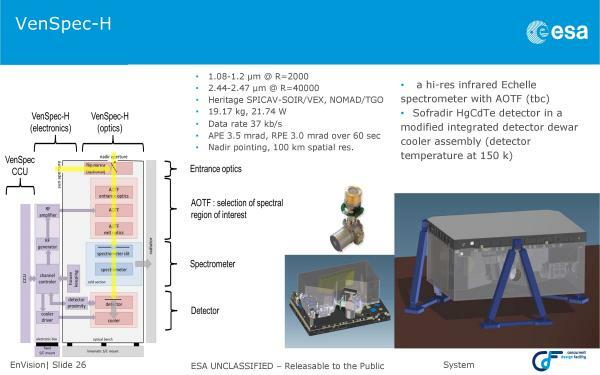 The proposing team has to overcome significant cost (perhaps through the donation of a NASA radar instrument) and mass problems. And then it has to be selected over two other good finalists in the M5 competition. 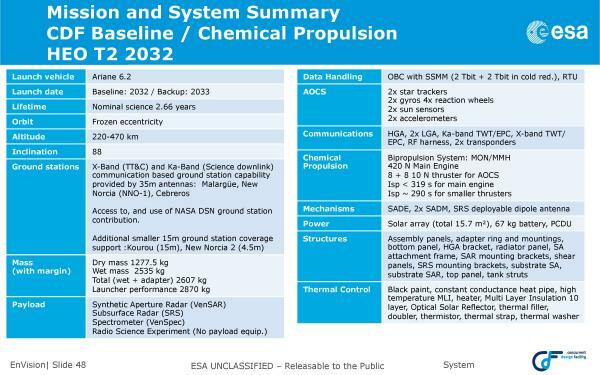 If selected, it's expected to launch in the early 2030s.